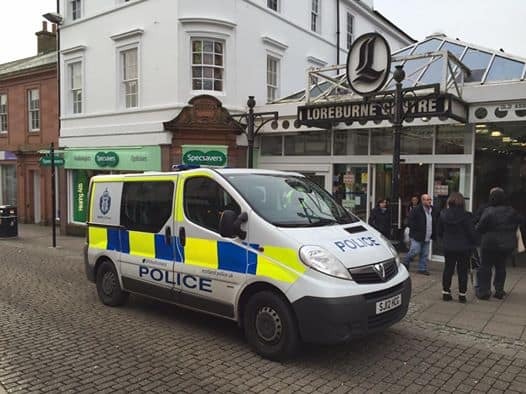 Police Scotland officers in Dumfries are appealing for witnesses after three women had their purses or handbags stolen in different supermarkets in the town on the morning of Saturday 14 April 2018. Sometime between 10am and 11am on Saturday morning a 79 year old woman shopping in the Aldi supermarket in Annan Road had her purse stolen, a 67 year old woman shopping in Morrisons on Brooms Road had her purse stolen and an 88 year old woman who was shopping in Tesco on Glasgow Road all had her handbag and purse stolen. Constable Sonya Johnson at Dumfries said “it does appear that these women were targeted in these thefts. Cash and personal banking cards, mobile phones and other personal items were all taken in the thefts. We are reviewing CCTV footage from the store in an effort to identify those responsible. At this stage the only description we have is that of a male in the Morrisons store, who bumped into the victim around the time of the theft. He is described as being in his early 30s, tall and thin and of a Mediterranean appearance, well tanned with dark hair. He was wearing a black jacket and light coloured jeans. We are keen to hear from anyone who may have been in any of these stores on Saturday morning and who may have seen or heard anything suspicious. Callers can contact police at Dumfries on the 101 number quoting the reference PDG0076610418.